An interesting announcement was made by John Mueller from Google about Authorship. Well, the part that involves Google Search & Google+ profiles. Too clean up the design of search engines, Google decided to remove Google+ profile pictures & circle counts from its result pages. Does that mean you shouldn’t invest in Authorship anymore? Is this the secret behind building an image or brand? Is this the the secret behind what marketeers call link building? First of all. Let’s talk facts. According to John Mueller & tests, the newer design they come up with for cross-device search results are somewhat the same as before. So actually, what he’s saying is that the authorship integration is a as good as a simpler designed interface. Less is more. Kinda. Which made me think about Authorship and its contextual impact. Across the globe, marketeers (especially SEO’s) have looked at this with a very hard focus on being seen in the SERPs and its impact on click through rates. That’s fine. Although, there is more to it. What was the longer effect of this authorship integration from Google+? Did they see more people started following them on Google+, heck even Twitter? Did they experience that their personal brand, and to some extent their corporate brand, went up or showed any signs of improvement? The only thing we saw so far, was the integration of Google+ updates in the SERPs if it got somewhat contextual overlap with the search query. For example, I’ve seen some of my Google+ updates passing by, nothing from anyone else so far. So… what’s the impact of this? Sure, you’ll see a fluctuation in click through rates. but actually, no one can tell. Not even a single marketeer can tell if this change will impact their personal or corporate branding. The only thing you can say is that you’re getting seen at one place less. These are some figures of my old Dutch blog. The first result gets me a lot of traffic, although the CTR is not as wicked as the second page below. The weird thing is, the third results only gets me 1% CTR, but this one of the post that got linked to a lot & had more comments than the first & the second result. If you’re still convinced this is the reason why its costing you traffic, rethink your strategy. You’re better off being independent from Google or any other search engine. They’ll change a lot of things in the future & you’ll be following in order to keep your traffic you desperately need. What SEO always have been about, in the past. Do you need to quit authorship mark-up? nope. It’s still useful, for in-depth article mentions for instance. It could still show up in personalized search results too. but Actually has Another Reason to Do this. Google has been focussing really hard on Mobile the last few years. It makes sense. We want contextual info, so we need devices, platforms & designs that can help us with that. Besides, mobile is the fastest growing medium & that’s where the opportunities are. This is why Facebook has gone mobile first & full on! Credits & more info: Mediatel.co.uk & Statista. 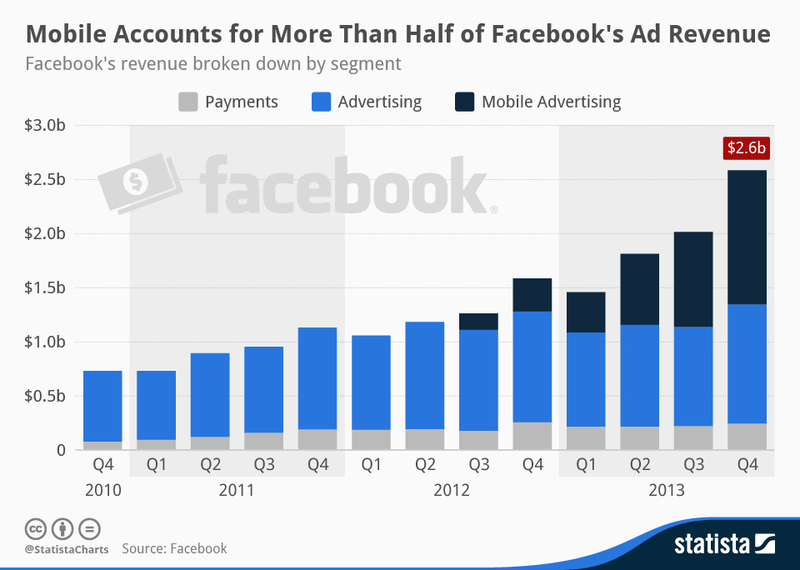 According to Reuters, Facebook revenue from the first quarter of 2014 has grow 72% on rising mobile ads. That’s where the money is. That’s also where the data is. Google is not heading that way, they’re doing it already & optimizing it far better than Facebook does. They’re removing the clutter, so the ads can stand out even better. The announcement of material design will only, indirectly, increase this growth rate. Lets look into this in detail. What does authorship mean in different sorts of context? This mind map helps getting an overview of different sources about Authorship & its context. If you want, you can download the image & source file below (made with Freemind). is definitely the one on wikipedia. An author is broadly defined as “the person who originated or gave existence to anything” and whose authorship determines responsibility for what was created. Narrowly defined, an author is the originator of any written work and can also be described as a writer. The word responsibility is a very interesting contextual aspect in the first sentence. It’s interesting to narrow down the essence of an author to a creater of something & his responsibility for what was created. Responsibility. An author is responsible for the existence of a piece. So you could say responsibility has its good & its bad side. To some extent, did you think about this when integrating the authorship mark-up? Did Google mention this context? I’m not going to go into details about editors & publishers, but the interesting thing about authors of books, scripts, studies & other forms of mainly written pieces is that there are many forms of authorships, in which some of them you don’t even need to be an active part of the final result. You could easily be acknowledged as a reference to other related work or even as a source of inspiration. A very intriguing interpretation of the noun “author” is the one on Wiktionary. The quality or state of being an author; the function or dignity of an author. Quality: expertise or the importance of the work of the author within a certain domain, organization, group or network? State: (the impact/reach of) the authority within a certain domain, organization, group or network? Function: (the specific impact of) being a part of or within an organization, group or network? Dignity: the liability or trust within a certain domain, organization, group or network? It is more complex than marketeers think. For SEO & other reasons, you still need authors that can spread content & stand out. Although. These are just the tactics you can see above the surface. Authorship is much more than the creation itself. The second most interesting part of Authorship is the laws invented to protect the work of the author: Intellectual property. This means, as an author, you’re responsible for the something you’ve created & if it is unique or very good, you can “protect” that something as your intellectual property in certain forms known as copyright, patents, industrial design rights, trademarks and so on. So you could say that the creation of the authors work could have an impact on their financial growth, impact on the economy (in a good or bad way) & personal growth with a thin line between intellectual rights and human rights if it comes to creations of the body or mind. With intellectual property comes a darker side as well in the forms of infringement, misappropriation & enforcement. So you could say that an author claiming a certain creation isn’t always the legal owner or rightful user of the creation. Another bias that comes with Authorship is Ownership. It could be that you’re the author, not the owner. For instance, if the firm you work for gets the intellectual rights & you are the inventor of something new. So you could say that authorship is a derivative from ownership, in a way. Which means that the organization or company you contribute to also has a big share into your authority. They did tell us something. Plain simple, Google told us to link our content to our profile. That’s it. What do we know about this in detail? Nothing. Do we know how this helped us? Nope. There is a big change, that didn’t help you at all. It maybe backfired. We’ll never know. As you can see, Authorship is something far more complex than we think it is. Don’t waste your time on Google Author Snippets. According to Matt Cutts 25% up to 30% of the web is duplicate content. That’s ok. That isn’t ok for your Authorship. It means that you have to be in that other 70%. Remember. We’re talking about content. Content is a derivative from Authorship. It is a metric for the amount of contributions or impact you made online. is probably about the better and more known subjects or people within a that certain domain. So you could say that within that 70%, you got a fairly good overview of people who’s contributing & making a difference. That narrows the possible real authors by a double digit percentage, for sure. You could translate this into a employee structure, for a retailer for instance, as well. 25% up to 30% of the employees of a retailer do the same job (in the warehouse, in the shop, …). 70% of them have a more unique job & responsibility to take. I’m not going into details for every shop of the entire retail chain. This is an example on management level and their possible responsibilities & acknowledgements. Depending on the structure of a company, its domain, its team & its network, Authorship is totally different. If all this acknowledgement was translated into online communication, that would heavily contribute to Authorship. At this moment, it isn’t. Its only the start of it. You need to define Authorship for yourself and the company you work for or the work you do, in order to translate this into an online context search engines understand. You can’t just claim acknowledgement for the things that will put weight into the basket. Your network needs to claim it for you. Authorship doesn’t come with some simple snippets for search engines. It’s based on taking responsibility, making impact, passion, your network & lots of luck to succeed. When all goes well, your work, in any format, could lead to Authorship which beholds acknowledgement & responsibility! Taking responsibility will lead to acknowledgement which ultimately leads to Authorship. You might have come to the conclusion by now that you’re no author. You’re a contributor (mentioned as a reference) or a non-mentioned author (you collected data for the study but got no mention in the article). That’s not a bad thing. It shows you were part of something bigger, but didn’t claim your part in it. It makes you grow to something more complex. You’ve build up experience so that maybe one day, you can be an author. Authors don’t start on their own. They work in teams. They grow out of a team. They work with smart people. It’s a natural progression depending on characteristics of the person itself, the setting, the network & the hard work. If you aren’t an author.